BALTIMORE – Any serious driver would be thrilled to ditch their daily ride and get a sporty new set of wheels. But when you are a hospitalized child, and your current mode of transportation is a wheelchair, a chance to trade clinically contrived stiff vinyl padding for the cozy feeling of soft leather bucket seats is really something special. 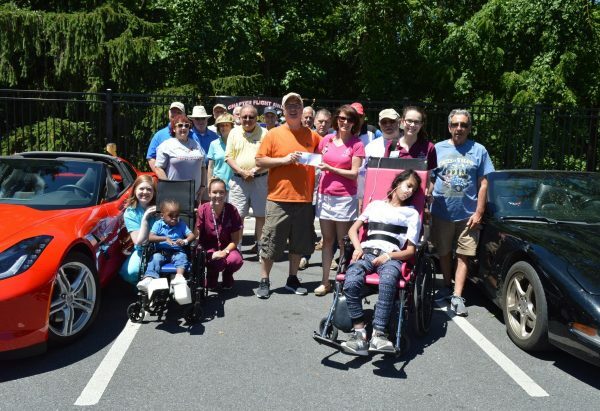 This was evident by the broad smiles and animated cheers we encountered on Saturday, when the Mason-Dixon Chapter of the National Corvette Restorers Society (NCRS) paid its annual visit to the Mt. Washington Pediatric Hospital. Mt. Washington Pediatric Hospital is a 102-bed non-profit children’s hospital in north Baltimore. Tucked away in historic Mt. Washington, the facility provides post-acute care for children with complex health problems. Jill Feinberg, the VP for Development and External Affairs at Mt. 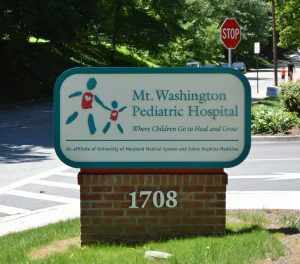 Washington Pediatric Hospital, said the kids come to the hospital for long-term stays. “They stay here for an average of thirty days before going home. And because they are here for so long, events and visitors like this really mean a lot to our kids. The children are allowed to sit in the cars and have their pictures taken, but they may not ride in the Corvettes. 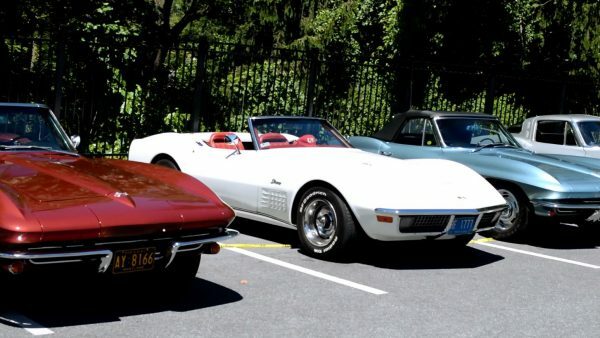 Many of the cars which made it out for the event are vintage Corvettes. Some have been restored, some are in the process of being restored, and some are original. Depending on the condition and vintage of the car, the average value ranges anywhere from $50,000 to $250,000. The horsepower in these cars also varies from 250 to 650 – again largely depending on the year of the Corvette. “They come here with all of these beautiful cars. The kids get to walk around and sit in them; toot the horns and pretend they are driving. The club is so generous. They collect donations throughout the year, which they contribute to the hospital. Those funds go right back to our patients, and it means so much to our kids,” said Feinberg. Feinberg said she wasn’t sure how much money the club had raised for the hospital over the years, but gauging by yesterday’s check, it would have to be in the tens of thousands of dollars. Donations aren’t the only thing the club members offer the ailing children. Classic cars – which most other owners would normally guard with their life – are gladly volunteered as impromptu playthings for the wide-eyed children. Horns are beeped, knobs are pulled, gears are shifted, paint is stroked and parking lights turned on. One owner popped his hood to give the kids a quick look-see at his chrome-plated engine. Several other Corvette owners followed suit. Gus Tsamouras, a longtime club member, told us, “The hospital is very dear to our heart. “We are a local chapter of the National Corvette Restorers Society, and this is one of the many charities we do. We’ve made this an annual event to raise some funds to contribute and to come out and see the kids and this wonderful staff. “We really take some pride in doing that. Tsamouras said that, while all of the cars on display were Corvettes, “You don’t have to own a Vette to be a member, but you do have to have an interest in Corvettes. “We have a very good nucleus of old cars and specialize in keeping them historically correct. “Some of these cars have been in the owner’s hands since they were purchased new. There’s a 1963 split-window Corvette over there that has been in the same family since day one, from the dad to a son to another brother. The event concluded with the club’s presentation of a check to the hospital. 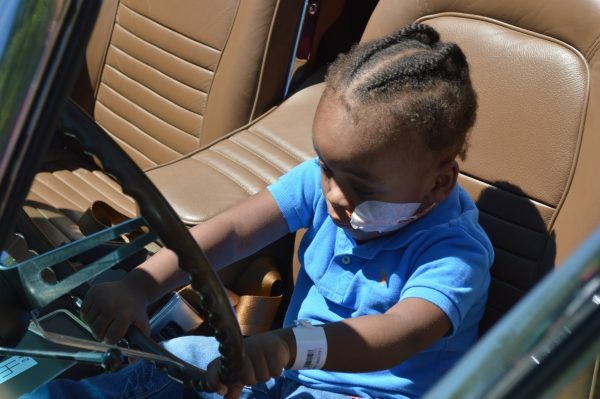 As the children were wheeled back inside the facility, the Vette owners returned to their cars and started their engines. Corvettes tend to roar when you first fire them up, but yesterday, the sound was more like a delicate purr. Gentle – like the cozy feeling of a caring hand reaching out to make a child’s world a little bit brighter. ← How to Know What’s Driving Sales in Your Business?